In a short series of essays, I would like to discuss Japanese dōjinshi (hereafter unitalicized) based on the work of Japanese director Miyazaki Hayao. I would also like to examine the relationship between fan works and the concept of auteurship. First I will give a brief explanation of what dōjinshi are and the place they occupy in Japanese subculture. Second, I will provide examples of several dōjinshi based on Spirited Away (千と千尋の神隠し), Howl’s Moving Castle (ハウルの動く城), and Ponyo on a Cliff by the Sea (崖の上のポニョ). Finally, I will explore the hermeneutical relationship between these dōjinshi and the original texts on which they are based, as well as the relationship between auteurs and fan creators. Dōjinshi (同人誌), a word that might be glossed as “fan works,” or “fan manga,” are self-published, small-scale publications written by fans and for fans of a particular work (be it a movie, a book, a television series, or a video game) or of a particular romantic pairing possible within that work. 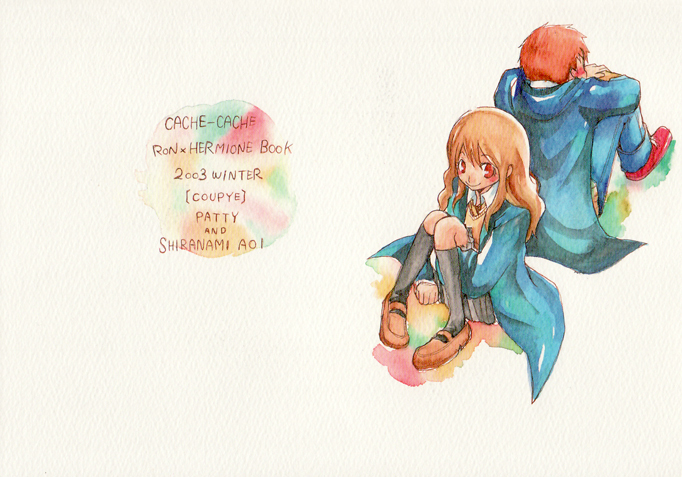 For example, there are many dōjinshi based on J.K. Rowling’s young adult fantasy series Harry Potter, and many of these Harry Potter dōjinshi focus on a specific romantic couple, such as that formed by Harry’s two friends Ron and Hermione. As in the realm of American fan fiction, many dōjinshi explore the possibility of an alternate outcome of the events in the story of the original work. This leads, for example, to dōjinshi dealing with the formation of a romantic relationship between Harry and Hermione, or perhaps between Harry and his male rival Draco. Unlike American fan fiction, however, the vast majority of Japanese dōjinshi employ both the form and the conventions of manga. In the rare case that fan fiction is published as a dōjinshi, it is often accompanied by illustrations that are either drawn by the writer or by an artist commissioned by the writer. Since the production of manga is a labor-intensive process, most dōjinshi artists operate within what are called “circles” (サークル), or groups. Although there are a number of “individual (個人) circles” consisting of only one person, most circles are made up of two or more people. The division of labor takes different forms within different circles. In some cases, the work of two or more artists operating separately from each other will appear in the same publication, while in some cases, secondary artists will help the primary artist with things like background detail and the application of screen tone. In many other cases, different teams of artists will publish different dōjinshi under the same circle name. In any case, a dōjinshi is just as likely to be attributed to a circle as it is to be attributed to a specific artist. On the back cover of this dōjinshi, we can see both the circle name and the names of the two artists who contributed to this particular work. One of the main reasons why artists who create dōjinshi continue to operate within the circle system despite the prevalence of labor-saving digital artistic tools like Photoshop and individual-centered communication networks like deviantART is the continuing popularity of conventions like Comiket (コミケット), short for “comic market,” a three day event held biannually at Tokyo Big Sight. The first Comiket was held in 1975; and, since then, attendance at each event has risen from several thousand to several hundred thousand. Comiket is primarily an event for the purchase and selling of dōjinshi. Since there is a limited amount of space for dealers, many fledgling artists participate in events like Comiket as members of a circle, which gives them a greater chance of acquiring a dealer’s table. Although Comiket is the largest convention of its kind, numerous dōjinshi conventions occur throughout the year all over Japan. A notable example is the Comic City convention in Osaka. Aside from these conventions, dōjinshi may be acquired year-round at chain stores specializing in used manga (such as Mandarake) and dōjinshi specialty stores, which tend to be located in major urban shopping districts, like Ikebukuro and Akihabara in Tokyo and Den Den Town in Osaka. 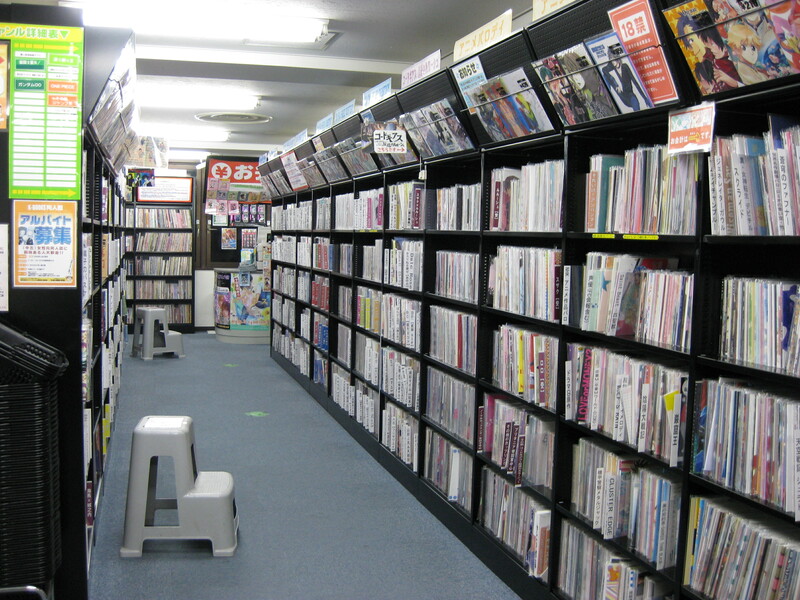 Dōjinshi specialty stores like K-Books tend to fall into two divisions, which reflect the preferences of the two main demographic groups of dōjinshi consumers. These two divisions are “meant for boys” (男性向け) and “meant for girls” (女性向け). Dōjinshi meant for boys are typically heavily pornographic in nature, and dōjinshi meant for girls generally focus on homosexual romantic relationships between male characters. This genre of dōjinshi (and, increasingly, mass market manga) is known as “B.L.,” which is an acronym for “boys’ love.” The line dividing “meant for boys” and “meant for girls” is not sharply drawn, however, are there does exist a large category of general audience dōjinshi that does not expressly cater to the conventions of either category. Great description of what doujinshi is! I have a few Howl’s Moving Castle ones (all Howl/Sophie and all PG), and they’re so cute! Also, I love McLelland’s article title! His class was so much fun. Thank you so much! I can’t believe that, up until a few years ago, I had no idea that dōjinshi even existed. For me, this blog is kind of like a public service announcement to the Kathryn of four years ago, so I had to put something about dōjinshi in here. They are literature too! I’m so jealous that you got to take a class with Professor McLelland. I bet it was fun!